Thirty-five days and multiple missed checks later, the partial government shutdown has come to an end, at least for the time being. President Donald Trump recently announced a preliminary deal in the Rose Garden at the White House Jan. 25 that has since been made official. The stand-off, which stemmed from a dispute over border security funding, affected over 800,000 federal workers, which included certain members of the military and the Transportation Security Administration. Truckers, for the most part, were unaffected. But it's looking like they may experience some of the blowback after all, as an anticipated update to hours of service rules regulations slated for March may be postponed. As reported by Overdrive, the Federal Motor Carrier Safety Administration issued a memo at the time regarding the possibility of revisions to federal hours of service rules, which govern how much time truckers are permitted to drive without a rest period. Because several federal agencies were closed over the five-week partial work stoppage, officials will likely be in catch-up mode for the foreseeable future. This means that what work was planned to be completed before the slated HOS ruling may take priority, pushing everything back. 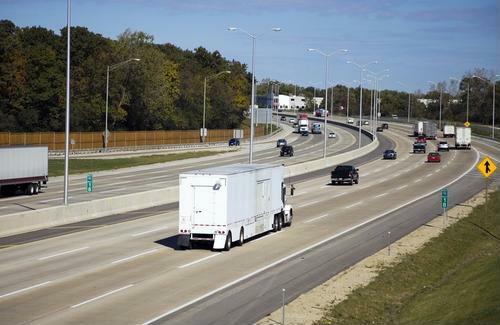 Although the trucking industry as a collective was largely unimpeded by the partial government shutdown, the Department of Transportation did experience some of the ill effects. Overdrive noted that at least 20,000 DOT workers were furloughed over the 35-day stretch. This included subdivisions of the DOT, such as the Office of the Secretary. This is notable because the OST, in partnership with the Office of Management and Budget, must review updates to HOS rulings before they can be published in the Federal Register. Nearly 500 employees in the OMB were furloughed during the shutdown. With hundreds of thousands back at work now that the government is fully operational, history may repeat itself if Congress doesn't come to an agreement on what to do about border security before Feb. 15. By this time, it would be less than two months away from a possible commercial driver work stoppage, which appears to be gaining traction. Dubbed the "Truckers Declaration for the 2019 Shutdown," several smaller trucking interest groups are calling on employers to provide them with more favorable working conditions, citing the HOS regulations and limited parking availability as their biggest sticking points. The groups are planning to protest April 12, Overdrive reported.